China and India aren't the only growing superpowers. Europe has come a long way in a short time and the continent's relationship with democracy is more than a little shaky. I have to admit that even mention of the vast labyrinth of interchangeable-sounding European treaties starts to send my brain into protective lockdown. Normally, I prefer to deal with more manageable things like the threat of nuclear war or the re-feudalization of corporate America. However, sometimes you don’t have those kinds of luxuries in life and there comes a day when you have to venture into the head-wrecking maze of European bureaucracy. That day is this day. There’s been a lot of talk about the rising superpowers of China and India and rightly so. Do you know how many people there are there? A properly representative version of Star Trek doesn’t have 4/5th Caucasian crew members with a token Klingon thrown in, my friend. I started learning Mandarin ten years ago. But that should not detract from the other superpower that is on the up: Europe. That might come as a surprising statement, given the amount of press that Europe gets about its inability to organize while slowly circling the drain of economic oblivion. And that’s not all: the US takes a lot of flak for its actions at international organizations like the UN and IMF (again, rightly so), but what about the EU? After all, European states have two of the five permanent seats on the Security Council, and 31 percent of the voting power at the IMF (the US only has 16.75 percent). Furthermore, what is the greatest economic power on earth today? The European Union: 500 million residents and 24 percent of the world’s GDP. That’s more than the US, more than China and more than anyone else, either. The European Union spends about €300 million a year to market itself as a soft, friendly organization that just doesn’t want war and for everyone (everyone European that is) to culturally understand each other. But honestly, did you really believe that? Building the most powerful trading bloc on earth wasn’t some kind of unfortunate side-effect to pursuing love, peace and all that jazz. And the most powerful trading bloc on Earth is not really in all that much trouble. Sure, there might be a few developments. Britain might eventually throw its lot in with the US instead (in which case, I will formally build a shrine to George Orwell who predicted just that in 1984); Greece might temporarily get expelled, but altogether the show must go on (and every effort will be made to ensure that it does go on), because Europe is already far too integrated to do a U-turn now and is facing far too much pressure from other superpowers (old and new) to do anything else. And that’s very worrying: because Europe is not a democracy. Will the real dictatorship please stand up? If there is one thing that strikes terror into the hearts of North Americans and Europeans (other than the words ‘tax time’, of course) it is “dictatorship.” Countless trees have been massacred in the service of displaying the ruthless dictatorships of Russia (currently run by one elected President and one elected parliament) and Venezuela (same deal). In fact, the words “undemocratic regime” has become an unending mantra. I assure you that is but the caring connoisseur’s selection of what is out there. But let’s turn that little spotlight around for a moment. How is Europe governed? Guess again. Over 80 percent of all national laws actually originate at EU level. The European Union’s law-making apparatus is a three-part act. The first part is the European Parliament, whose members are directly elected. The European Parliament basically rubberstamps laws. Ditto the European Council, which is composed of the current European heads of government. Every time the European Parliament manages to affect any law in any way at all it is heralded as an enormous success for democracy. I await the headline, “Duma affects law: Russia world’s greatest democracy” with baited breath. In the meantime, the explanation continues. The real power at the European Union is not the Parliament or the Council, but the European Commission, which actually writes the laws. 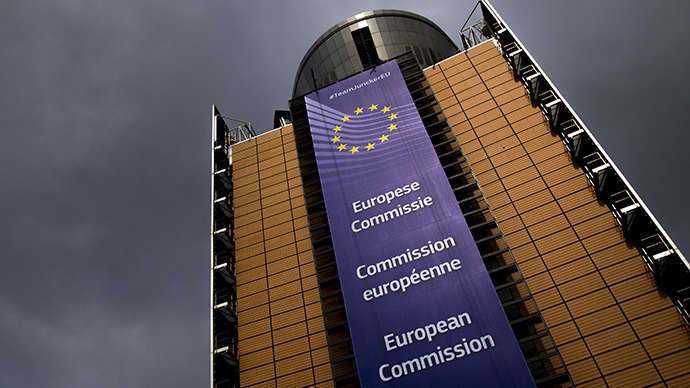 Commissioners are nominated by national governments and rubber-stamped by the European Parliament. Take a flick through the Commission and you’ll notice that it is full of people who, considering the gravity of their work, keep a pretty low profile. Take a flick through each of their individual agendas and you’ll also notice the Commissioners’ many meetings with “organizations or self-employed individuals” which is diplomatic-talk for lobbyists. This is marketed as the last word in government accountability. Yes, Commission Vice-President Valdis Dombrovskis met with air Baltic on January 16 for “exchange of views.” What did I tell you? Total transparency. So to recap: the flying-under-the radar Commissioners with their calendars of lobbyist meetings are the real power in Europe, with the Parliament and Council playing along. It makes for a great way to get things done while completely avoiding public discussion about it. In fact, its common knowledge that any activity that is unpopular nationally gets farmed out to European level because the convoluted decision-making process makes it possible for national governments to pretend they had nothing to do with it. So even if governments on the other side of the globe were rampaging about shoving fistfuls of fraudulent ballots into ballot boxes, in a crass way that would still show a certain residual respect for the processes of democracy that isn’t present within the European Union itself. When people tell you that the world’s biggest economic powerhouse isn’t a democracy, they are right. It just also isn’t China, that’s all. That’s worrying enough onto itself, of course. But economics is just one plank of world power. The other one is military power. Before German novelist Nobel Laureate Gunter Grass passed away earlier this month, he gave a final interview expressing his worries about future conflict, that the world was sleepwalking into a major war, fuelled, at least in part, by a focus on armament as opposed to diplomacy. And although Grass did not mention the European Union specifically in his interview, we can clearly see a shift towards rearmament on the continent. Last September NATO’s EU members committed to increase military spending to two percent of GDP by 2020. That isn’t two percent of budget or tax revenue – it’s two percent of the entire gross domestic product. Their current combined GDP is slightly more than €12 trillion, so two percent of that is €255 billion. It’s not quite as much as the US, which currently spends $580 billion annually on “defense,” but it’s still a lot of money to be laying out for new tanks and helicopters when you’re simultaneously raising taxes and cutting back social services. Current estimates on a four-person flight to Mars are about $4 billion, meaning that for less than the European defense budget, we could send the entire European Commission to Mars with cash to spare. Or we could eradicate infectious diseases, or buy most of the world’s tropical islands or give every man; woman and child on earth a $50 bill. The list of things one can spend money on without blowing oneself up is actually quite long. Nonetheless, EU countries have already plunged into defense mode, upping their spend on military acquisitions to what one expert described as a level unprecedented in European history for nations not actually at war. This jump to spend has largely been fuelled by sightings and speculation of sightings of Russian airplanes and submarines around Europe. I personally have yet to find a report of a confirmed sighting of any Russian military apparatus within the territorial waters or airspace of a European country without its permission. The complaints are about Russian aircraft (and/or submarines) flying close to European airspace, which is actually perfectly legal. While exaggerating (exponentially) the chances of a Russian invasion of Europe, all of these articles recklessly minimize the dangers that any such hypothetical conflict would entail, desensitizing their readers to the true nature of modern warfare. The truth is that it is highly unlikely that anyone in a position of power within Europe actually believes that the Russians are coming. Instead, the world’s fourth superpower is serving as a useful paper tiger for the European Union to pursue its own policies: centralization of unaccountable power, severe free-market liberalization with a wealth transfer from poor to rich, and a build-up of unified military capability, which will eventually be used to enforce foreign policy goals, probably mainly in Africa, where many European nations have a paternalistic post-colonial relationship with their former colonies. And it has all been done with next to no public discussion while being heralded as the democracy made manifest. And that’s why the superpower I’m most worried about is the secret one: Europe.